First – go through your Christmas decorations and pick pieces that you would like to have on your wreath – set them aside. Then – venture out into your local store (Walmart will do nicely and you will save a few bucks too) and buy a plain artificial wreath and a basic set of mini lights if you want to light up your wreath. The alternative is taking a walk a picking up evergreen branches and then making a really nice, natural wreath – I am actually thinking about doing that. Then sit down with all your stuff and start creating your very own wreath! And do not worry or get discouraged – remember that if you are not happy with what you are doing – just change it! 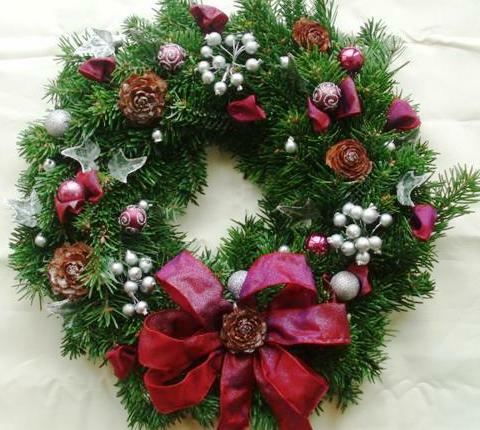 Wreaths can be embellished to achieve a variety of looks. 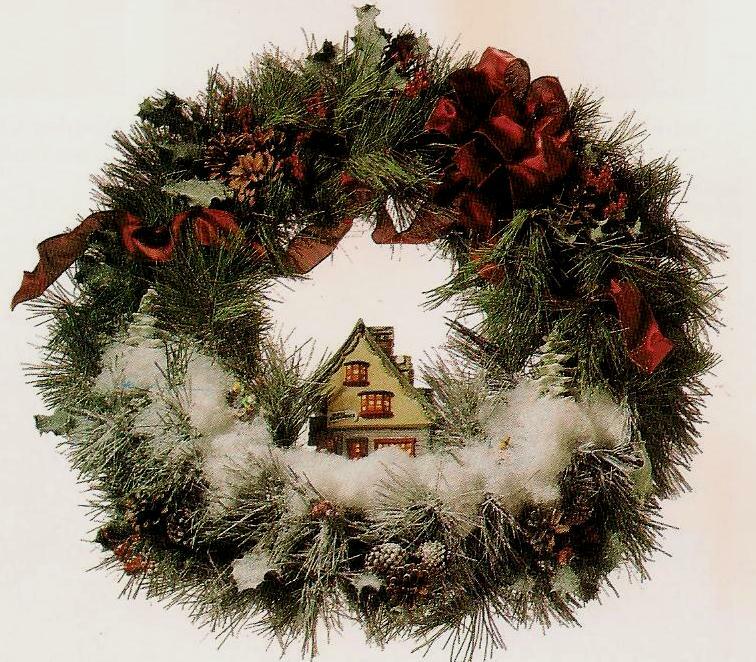 You can add ribbons, ornaments, floral materials – anything that will reflect your personal style and add to the theme of your home Christmas decor.Artificial evergreen wreaths are very easy to decorate – you just simply twist the branches around each item to secure them – or use floral wire or hot glue to do that. 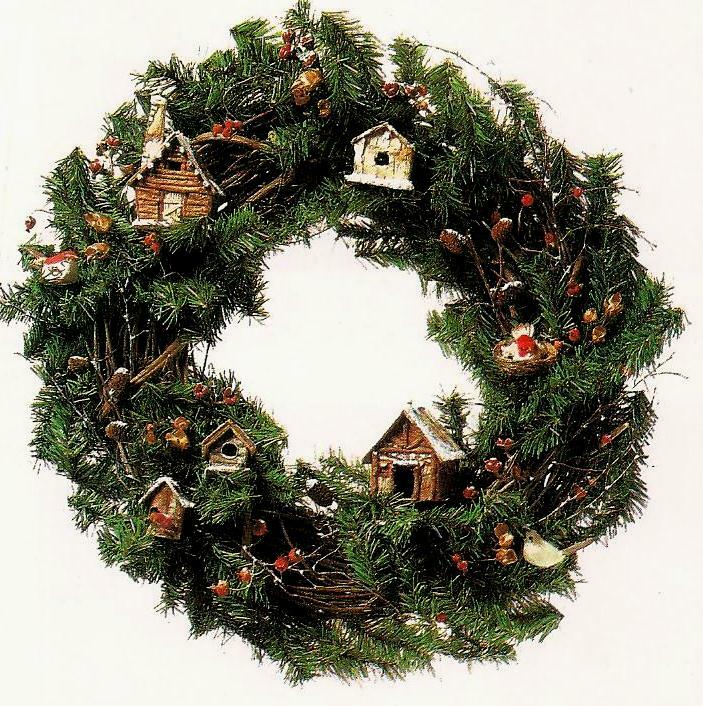 Start with using one item at a time, spacing them evenly around the wreath to achieve a balanced look. Add the large items first and fill any bare spaces with smaller ones. Secure items at the surface as well as closer to inside of your wreath – that is to achieve a sense of depth. And if you are going to put mini lights on – put them on first, light them and work your other items around them – you will be able to see better what the final result will be. 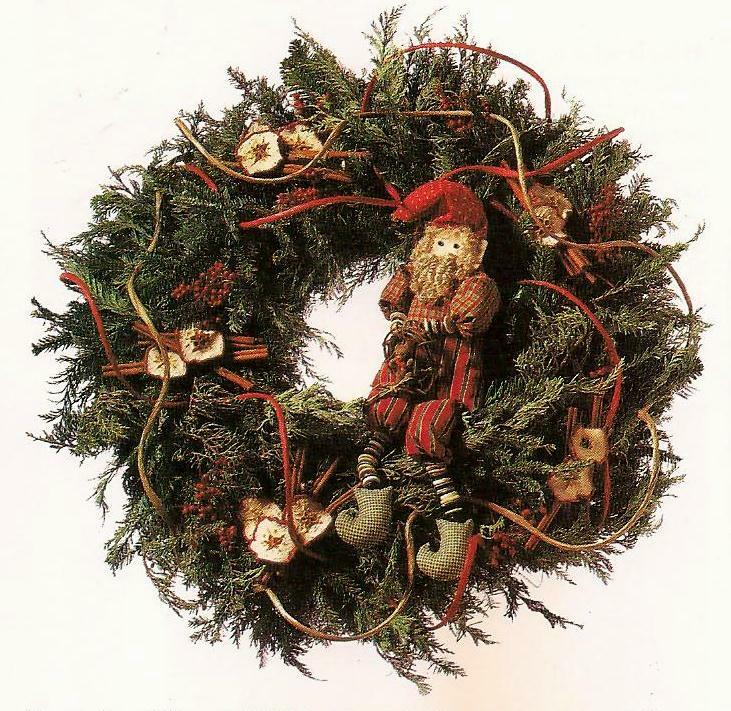 Artificial evergreen garland is wrapped around a grapevine wreath. A natural look is created by adding birch bark and twig birdhouses, artificial birds and stems of rose hips. 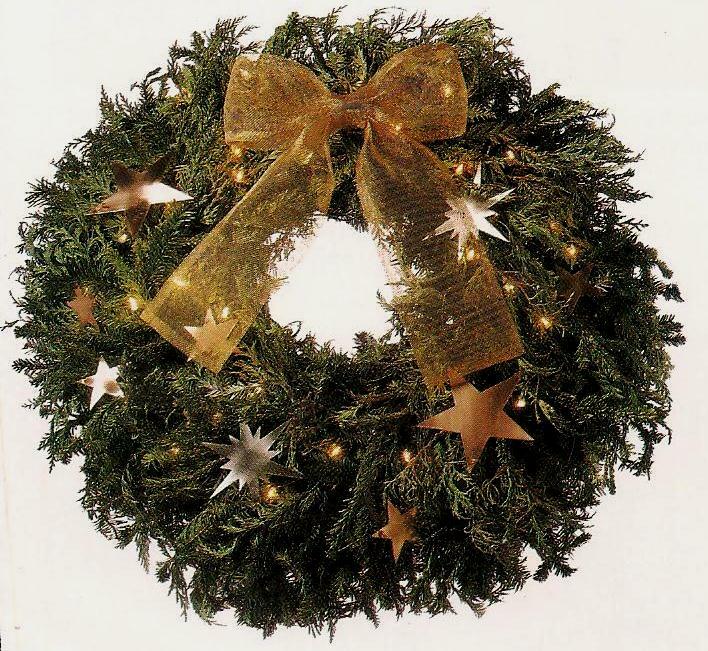 Create this elegant wreath by first attaching a gold wire mesh bow to the top and then adding metal ornaments. This wreath works very well with the addition of mini lights. I think these are beautiful wreaths and consider this: if you are still thinking about how to decorate your tree – extend the wreath decorating ideas – they could be easily applied to that task! Hope you have enjoyed this information, please send in your comments, suggestions and experiences – and pictures as well! – your input is very welcomed and much appreciated!